made three very different cards. 1. 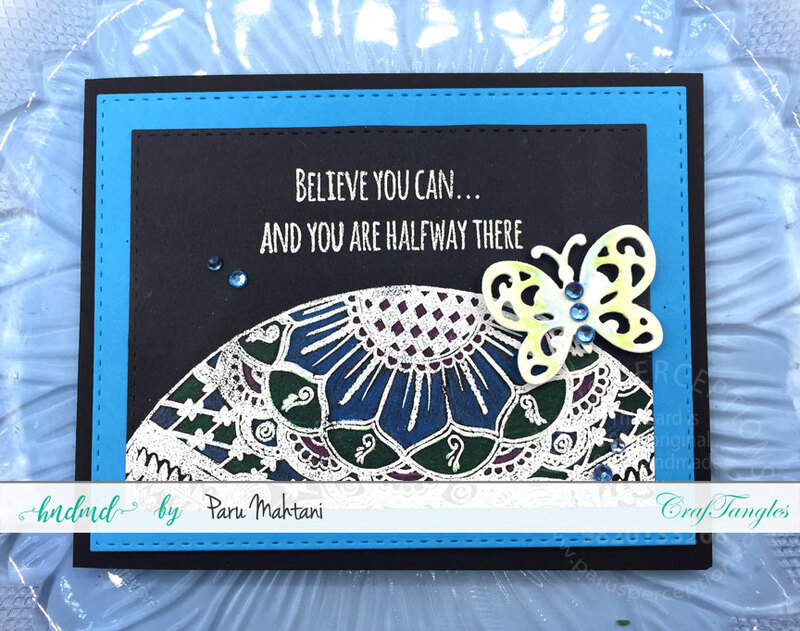 I stamped and heat embossed the image with white embossing powder on black card stock. I then used Simon Says stamp stitched rectangle dies to cut it out. 2. I coloured the image using Steadler colour pencils. 3. I stamped the sentiment (from the Craftangles stamp set 'Beautiful bloom border'. and adhered it to a black card base. 2.I then watercoloured the image using Sakura Koi water colours. 3.Once it dried, I die cut the panel using SSS stitched circle dies. 4.I added another circle below for interest. 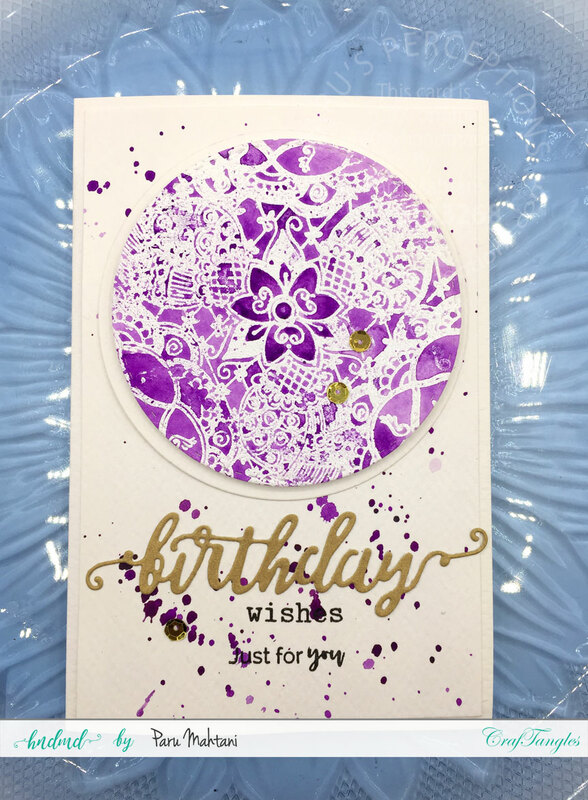 5.I then added some paint splatter to the card base. 6.I adhered the watercoloured panel to the card base. 7. I die cut the word birthday (Craftangles 'Birthday wishes' stamp and die set) using gold card stock. 8. I added the rest of the sentiment (Craftangles 'Everyday Sentiments') and finished the card with some gold sequins. 1. 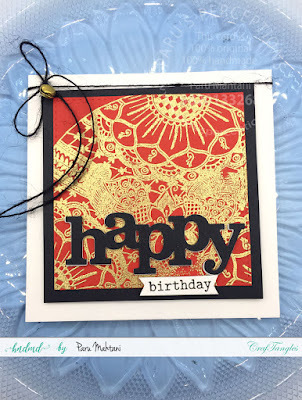 I stamped and heat embossed the image on red cardstock with gold embossing powder. 2.I cut out this square panel using SSS stitched square dies. 3. I used black cardstock to matt this panel. 4.I adhered it to the white square card base using fun foam. 5.I die cut the word 'Happy' (from Winnie and Walter) and adhered it to the card along with the stamped birthday sentiment. I finished the card with some black jute twine and a gold bell. I hope you liked these three cards and will give this stamp a try. If you do, do not forget to tag us with #craftangles on social media. We at HNDMD would love to see your creations.